I’ll be the first to admit that I’m London girl, through and through. If there is one city in the world that I’d love to end up in long term (or short term, or just for my fifth visit and counting…) it is London. That being said, there is another European city I’d happily end up in long term, short term or just for another visit… and I don’t see it mentioned on blogs as often as other European travel hubs. So I think it is time to change that. Vienna: One of the Most Underrated Cities in Europe? I have conversations with first-time travelers pretty often. I also tend to hear from friends, coworkers and others who are planning their second or third international trips to Europe. I love having these conversations because I love to hear where people have decided to visit and why. But for some reason, I don’t hear people mentioning Vienna very often. While I consider my trip to London and Paris in October 2016 to be my first official solo trip abroad, I’d actually visited one city alone prior to that trip. In between finishing a study abroad program in Turkey and meeting up with my mom in Italy, I visited Vienna solo for two days in 2011. And let me just tell you, if 21-year-old Sarah could figure out this city by herself - and manage to fall completely in love with it in the process - you certainly will too. First and foremost, Vienna has one of the best public transportation systems that I’ve used in the world. I understand that this is a matter of opinion, so I’ll give my criteria for a good public transportation system for your review: efficiency (not having to wait 15+ minutes between trains), cleanliness, cost effectiveness, general effectiveness (there are stops very close to where you want to be, not miles away), ease of use (even if you don’t speak the language, the system is simple), and charm (I understand if this isn’t on your list, but I’m from a city without a subway or train and I love the older transportation systems across Europe). Vienna ranks in the top three on my list in every single one of these categories. Please note, I have been to some other cities in the world that typically have VERY highly-ranked public transportation systems (including Tokyo, Seoul, Hong Kong, New York, Chicago, Madrid, London and Paris). In my opinion, Vienna’s system is comparable to or better than every single one of those cities. Tip: Make sure to ride the Ringstrasse Trams 1 and 2 through central Vienna. The Ring trams are aboveground so that you can see exactly where you are in the city, they travel past multiple buildings in central Vienna you'll want to see and they are both cost-effective and user-friendly. Vienna lays claim to some guys you may have heard of at some point in history, art, math, science or music class (Beethoven, Mozart, Schubert, Brahms, Haydn, Mahler, Strauss, Freud, Schrödinger and Klimt, to name a few). Music, art or architecture fan? This is certainly a city you have to see. Even if you don’t care a bit about the aforementioned historical figures, modern Vienna is a cultural hub in its own right. 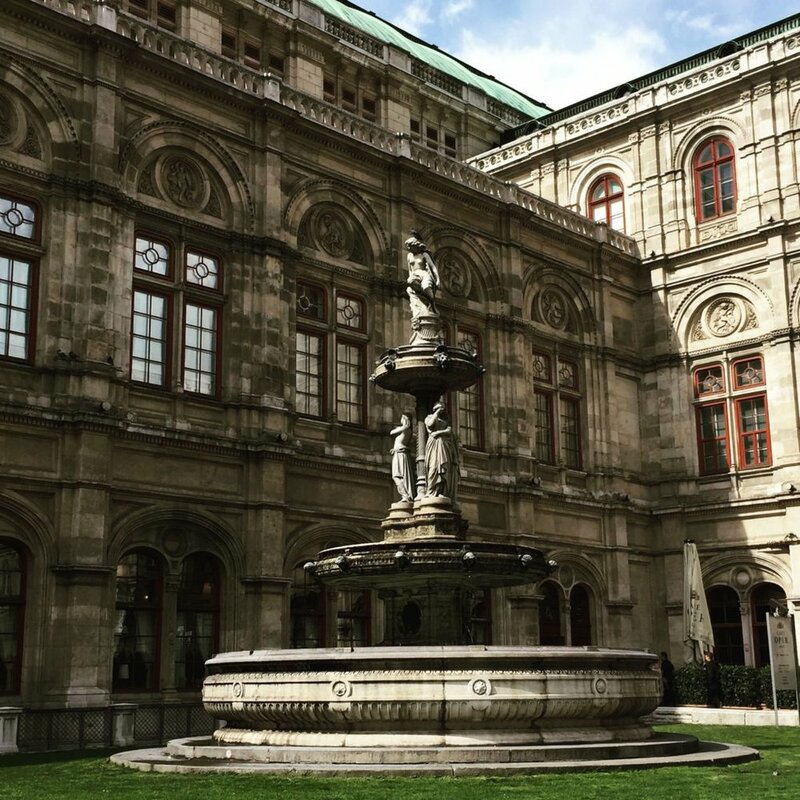 From the art galleries and museums to the concerts, music festivals, opera, ballet and theater, Vienna remains a creative and musical city. It is home to two Universities which are apparently very cheap for international students relative to other European hubs. And let’s not forget the food scene: in this amateur foodie’s opinion, Vienna has enough culinary variety to keep things very interesting while still executing the basics very well. Tip: I have a tendency to get urban overload on multi-city Europe trips and find myself searching for green space. If you’re also a person that needs to recharge away from the city, head to Schönbrunn Palace. Stroll around the garden for an entire afternoon, tour the greenhouse and just relax. The Viennese Lifestyle: Best in the World? 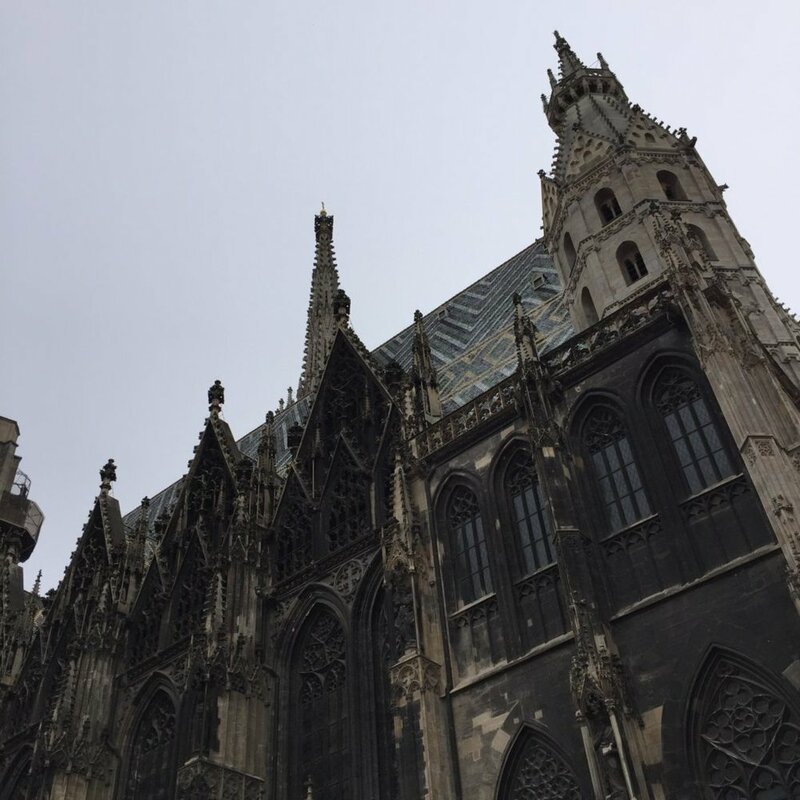 On my most recent trip abroad in April 2017, two friends and I visited Budapest, Vienna, Innsbruck and Munich. At one point we had a conversation about where we could actually see ourselves living out of those cities… and 2 out of 3 of us said Vienna. This spring, Vienna was named the city with the highest quality of life in the world… for the 8th year in a row. I can certainly support that ranking, but for somewhat less scientific reasons than the consulting firm conducting the study. Of all the cities we visited this spring, Vienna is where I could actually picture myself: going to work, stopping at a cafe, heading out for wine, attending a show, walking the gardens at Schönbrunn on the weekends, taking advantage of the central location to explore more of Europe… and overall, just enjoying a very Viennese life. I’ll admit to a mistake when it comes to Vienna: I’ve now been to the city twice, for only two days each time. One of the hardest things about traveling to Europe from the US is balancing the drive to see as much as possible since you’ve paid for an international flight while also doing the places you visit justice. As I’ve grown and traveled more extensively, I try to make sure I’m giving myself enough time to actually get to know a city, not just see the tourist highlights. In Vienna’s case, I’ve left the city each time feeling as though I need more time.